Whether you have just crossed over with your son from Cub Scouts or just joined Boy Scouts, we appreciate your enthusiasm and encourage your participation in the troop. We encourage you to take the Boy Scout training offered online and by the District to find out what we are trying to accomplish and how you can help. 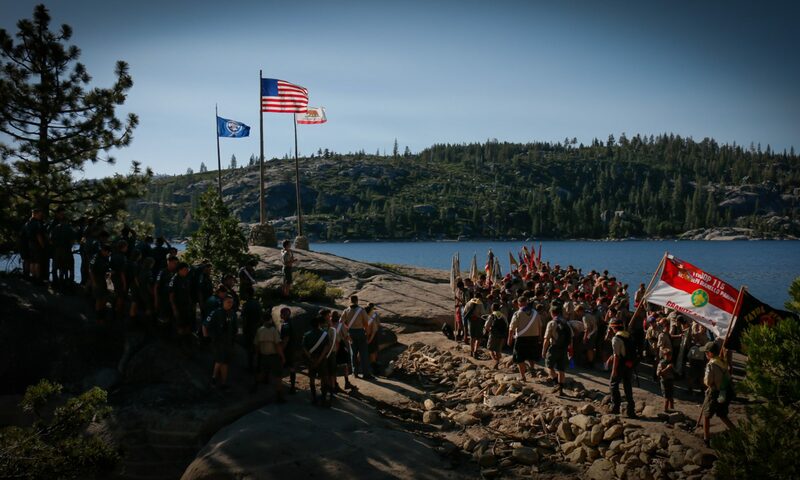 The adult leaders in the unit follow the Scoutmaster’s lead, as an example to the youth who follow the Senior Patrol Leader. Adults should complete all Basic Leader Training; Leader Specific and Introduction to Outdoor Leader Skills, and consider advanced training with Wood Badge. Adult leadership contributes to unit success by providing youth training, mentoring patrol leaders and assistants, delegating to scouts wherever possible, setting a supportive tone (calm, positive, no yelling! ), encouraging the patrol method, and keeping scouts safe by ensuring all rules and requirements are followed. Safety is the primary adult responsibility. Adult leaders are responsible for the troop following the rules found in the Guide to Safe Scouting and in the Youth Protection training. The adult leadership trains the youth leadership to stay within the boundaries set by BSA, and is ultimately responsible to see the rules are followed. Parent support and involvement is essential. Unlike the full parent involvement in Cub Scouts, parents are asked to become much less involved with their own child and more within the structure of the troop as a committee member or assistant Scoutmaster. But few parents come in to Scouting with a good understanding of the program. To get all the parents on the same page and working toward the goals of Scouting, ask them to take the on-line This Is Scouting training. Parents coming on outings should work through the on-line Youth Protection training to understand the behavior that BSA asks of all adults. Committee members should take the on-line Troop Committee Challenge. It is useful for the Scoutmaster to occasionally meet with ALL parents to share his vision for a successful troop and to involve the parents in accomplishing the troop’s goals. From This Is Scouting: “If you haven’t been involved in Scouting, you may think that the whole organization is the Scoutmaster and the youth members. The truth is, the success of the troop depends on a lot of adult volunteers who work behind the scenes to make it all happen. The troop committee is like a steering committee—volunteers who actually handle the business end of running the troop.” From the Scoutmaster Handbook: “The most important responsibility of a troop committee is recruiting qualified adult leaders for the troop.” “The Scoutmaster should be able to turn to the committee at any time for assistance, support, and encouragement.” The troop committee must then step back and not try to run the troop. That is for the Scoutmaster to train the boys to do. Get adult buy-in first…The cooperation of the adults can make or break the troop. The scoutmaster needs to have all the adults on board with what he is trying to accomplish. One take-charge adult can strip the boy leadership of the opportunity to lead. Basically, the boys canʼt lead if the adults are treating them as if they have no power. Train the adult leadership…Adults need to see the “big picture” of Scouting and there is no better way to do this than by taking more training. If it has been a while since your adult leaders have taken Leader Specifics, maybe it would be good for them to sit through this one day training again. Also our Council does the University of Scouting annually that covers many areas of Scouting. By far the best Scout training available is Wood Badge, which merges some of the best corporate leadership training with Scouting. If possible the Scoutmaster should be Wood Badge trained. Train the boy leadership…This can be as simple as “Introduction to Leadership Skills for Troops (ILST)” training. One of the best boy leader training is NYLT, National Youth Leadership Training. It is essentially a Wood Badge course for youth. If possible your Senior Patrol Leader should be NYLT trained. However you do training, realize that youth leader training is a continual process. Often they will not succeed the first time they try to lead. Empower the PLC…The PLC, Patrol Leader’s Council, is run by the Senior Patrol Leader and not the adult leadership. If your PLC has kibitzing adults, try to have a separate meeting for them at the same time, so that the boys can lead their own meeting independent of adult interference. If there are behavior problems, the presence of just one or two adult leaders should be enough to remind the boys that their Senior Patrol Leader is in charge, and is backed up by the adult leadership. In a nut- shell, the only adult that should attend the PLC is the Scoutmaster or his designee! Treat your Senior Patrol Leader very well…The Senior Patrol Leader is the leader of a boy-led troop, and you want other boys in the troop to really want that position because it carries status and power. You want the troop to respect and work hard for your SPL. The SPL has the best job in the troop! The adult leadership showing respect for the SPL and his decisions and input reinforces his status. If possible defer to your SPL. Allow failure to be a learning experience…Within the bounds of a safe scouting experience, the adult leadership should allow the boy leadership to make, and learn from their mistakes. If the SPL shows up unprepared for the troop meeting, he will have to wing it and do the best he can. The adults should not bail him out by taking over and running the meeting themselves. Adult-led is not plan B. A teachable moment becomes plan B. Keep other adult leaders from interrupting the troop meeting, no matter how badly they think it is going; it is the SPLʼs show, not theirs. The Scoutmaster should talk with the boy leadership after the activity to evaluate what they can learn from the experience. Keep these meetings short and to the point. Set an encouraging tone if something did not go well, and keep the boys place from blaming anyone. Failure can be a better teacher than success. Encourage Patrol Activities…The only way the Patrol Leader will get experience is if the patrol actually does something that requires his leadership. There should be a patrol meeting within the troop meeting. Patrol activities should be planned within troop outings also. Patrols can even plan outings independent of the troop. Don’t expect rapid change…It may take years before a fully functional boy-led troop is operating. There will always be boy leader turnover and new boys coming in. Every troop election requires a new set of boy leaders to be trained. One cannot allow setbacks to trigger a reversion to an adult-led troop. Good patrol leaders should be encouraged to move up to troop level leadership as Assistant Senior Patrol Leader (ASPL). The Assistant Senior Patrol Leader can be a training position for Senior Patrol Leader, that way each SPL has had 6 months of troop-level leader training as ASPL before taking office. The speed of the change to a fully boy-led troop greatly depends on how fast the adults can change to a Scoutmaster lead organization! Without this, the boys do not have a proper example to follow!